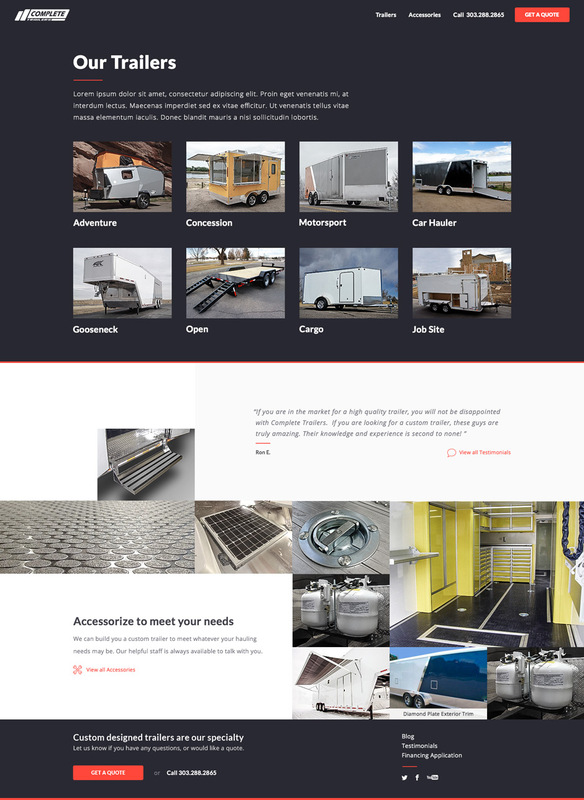 Complete Trailers came to DT looking for a complete website overhaul. Their site, while still way better than most of the competition, had to be the best. They came to the right place. We spoke with the team and discovered several interesting pieces of information. First was that while conversion was strong, there was a need to increase sales. Visitors came to the site with an idea of what they needed to haul, but often wouldn’t know of all the options they had. The sales team described scenarios where customers would see photos of trailer examples and be amazed at the possibilities. We needed this to be happening sooner. Second was a focus on page churn. If browsing is our priority, we should have no dead-ends. Visitors should always have three options on every page; get more info on a trailer, view other trailers, or call the sales team. We began to concept a new site with an emphasis on brows-ability. I put together a series of moodboards on Invision that helped clarify the client’s interests with regards to type, layout, and color. Next we began working on content and structure. 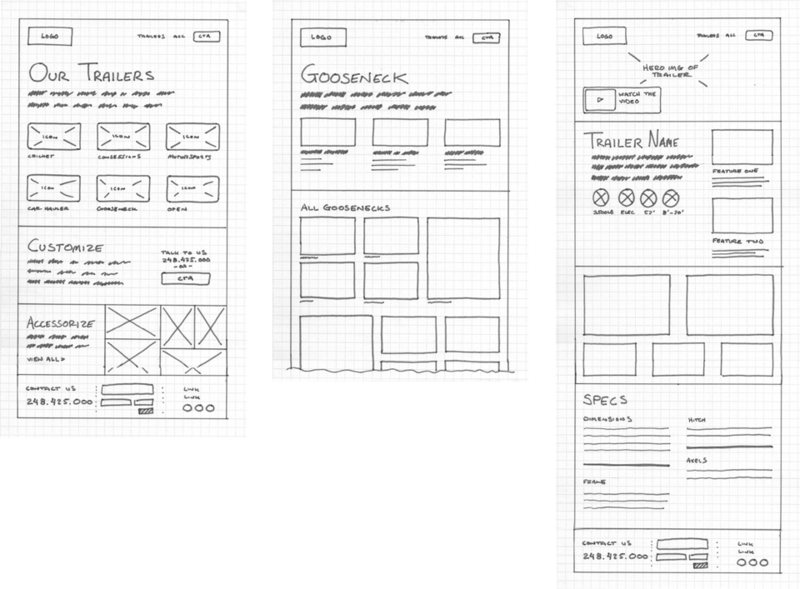 Due to time constraints, our wireframes remained hand sketched, but the ideas were strong. Our approach was to start with the most complex page, the trailer detail, and work outwards from there. We (designer, strategist, and developer) worked in tandem to not only prevent potential issues, but also use the different mindsets to come up with the best possible solution. The final product was a photographic smorgasbord with a variety of accessory options on every page. Visitors flowed throughout the site and began mentally assembling their perfect trailer. At any point when they were ready to talk to a sales person, the phone number was easily accessible.